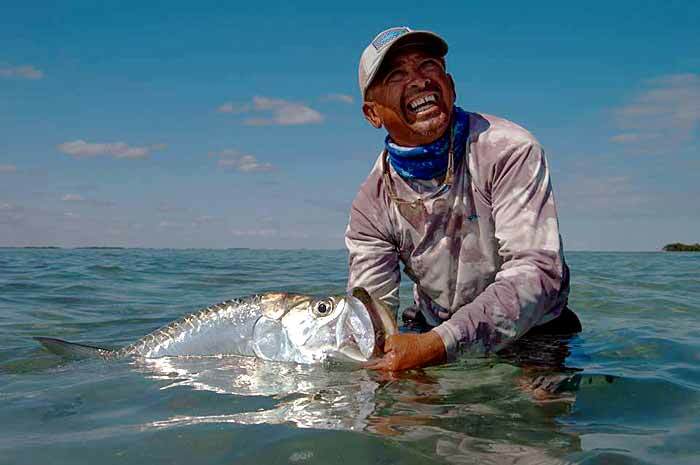 El Pescador’s very own, Carlos ‘Kechu’ Marin Jr. has been nominated for the Saltwater Fly-fishing Guide of the year as part of the 2017 Orvis Endorsed Awards. With over 30-years of experience, Kechu is a premier guide in Belize’s fly-fishing industry, guiding out of El Pescador Fly Fishing Lodge. “My father was one of the first guides at the El Pescador. My four brothers are all guides in the area, my brother Emir and I strictly guide for El Pescador. It’s a family tradition!” says Marin. The excitement for San Pedro, Ambergris Caye, Belize this month is word that a local sports fisherman and fishing lodge have been nominated for the 2017 Orris Endorsed Awards for excellence in the fly fishing industry around the world. Local sports fisherman and tour guide Carlos ‘Kechu’ Marin has been nominated for 2017 Saltwater Fly-Fishing Guide of the Year and El Pescador has been nominated for 2017 International Destination of the Year! How cool is that; we are all excited!? Visit the Orvis webpage for a look at all their nominees for this year.